Today we have all become much more reliant on our mobile phones in order to stay in contact with others. Most of us these days tend to spend quite a large amount of time not only receiving but also sending text messages. Not only is this expensive but also takes up a considerable amount of time. 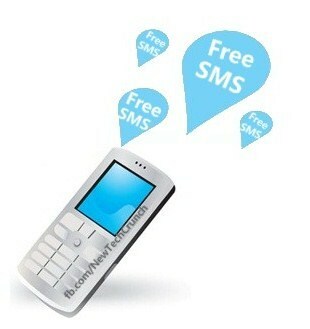 That is why using one of the many websites to send out a free SMS message online should be considered. When it comes to using such websites there are certain benefits to be had from doing so. Of course you may be wondering just what reasons there are for you to start using such websites yourself now. Below we take a look at just a few of these. 1. If you were to use a website to send out your SMS message you will find typing it out takes far less time. This is because you are using a conventional size keyboard rather than the touch screen or keypad on your mobile phone. Plus of course you don’t have to check everything that you are typing out, as there is no predictive texting feature to concern yourself with. 2. Another reason why you may want to actually use such websites is many now come with the facility to allow you to send out your message at a different time from that when you actually type it out. In fact many of these websites not only allow you to choose a specific time to send out your message but also a specific date. For businesses this can prove invaluable when they want to send out a message to customers about a special deal or sale they are running. 3. The biggest benefit of course to using websites that allow us to send free SMS messages is that it doesn't matter from which country you are either from Pakistan, USA, India, etc. they can be sent to anyone anywhere in the world. This is because these websites use specialist software that allows them to connect to the many mobile phone carrier services around the worldwide. Plus of course sending through these websites won’t cost anything. 4. The next reason why you should consider using such websites to send out text messages is that they tend to allow you to type out much longer messages. Generally when typing out text messages on your mobile phone you find yourself limited to around 125 to 140 characters. However with some of these websites they offer the facility to allow you to send out text messages that contain up to 160 characters. 5. 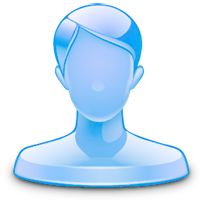 Even though you are typing out your messages using your keyboard they still allow you to include certain kinds of text speak within these messages ensuring that the what you have written comes across much better. 6. Finally of course the best reason for you to think about using such websites to send out a free SMS is that they don’t limit how many you send, which cannot be said to be the same for when you use your mobile phone. Most of the mobile phone service providers will offer you the opportunity to send out free messages but they tend to be limited to mobile phones that are also registered with them. Plus they tend only to allow you a certain number of free SMS each month. Once you have used up these free messages then of course every message sent after that will be charged at the mobile phone service provider’s standard rate. Oliver Haas is the co-creator of Sms Sheep one of the few free SMS services that allows you to send text messages locally and internationally for free without the need to register an account with them first. If you'd like to guest post for US check out our Write for Us page for details about how YOU can share your knowledge with our online community.